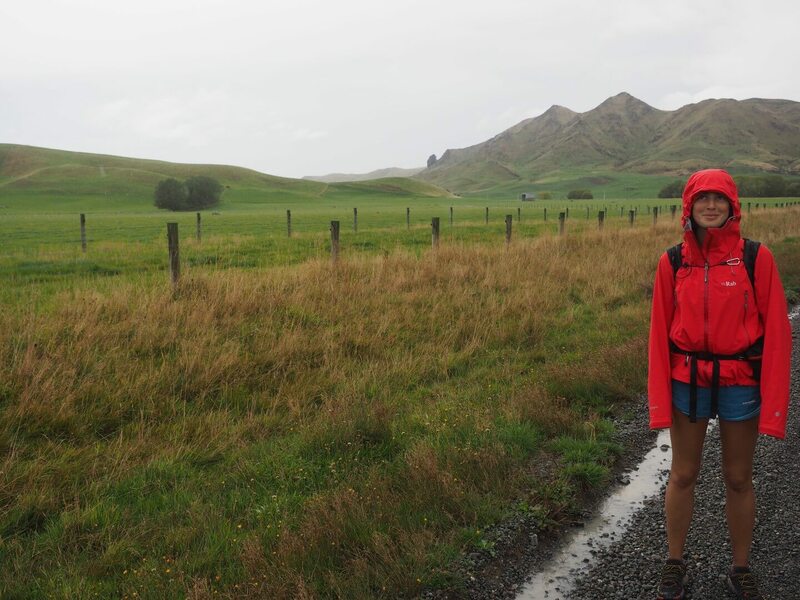 39km gravel road walk, followed by 2km of highway. Thousands of sheep. Light, drizzling rain. 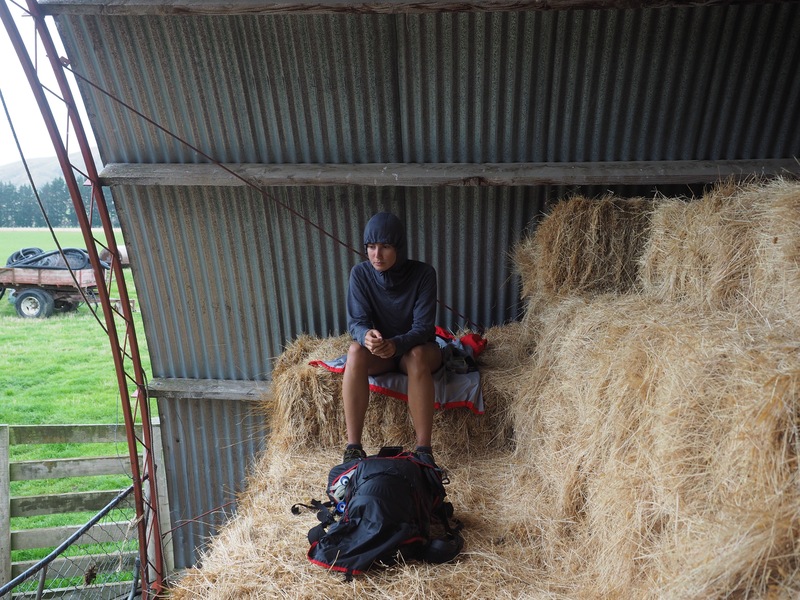 We wait out the rain inside a hay barn, but the respite is short lived. Not much fun, but there’s a hot shower at the end when we hitch to town. 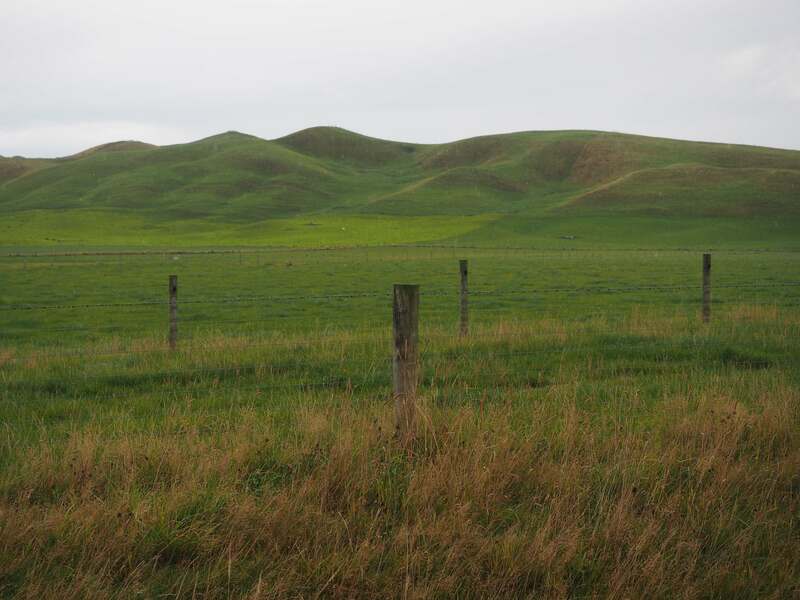 Southland mirrors Northland: wet, rural, rolling green hills. It’s fitting to end our journey much as we started it.